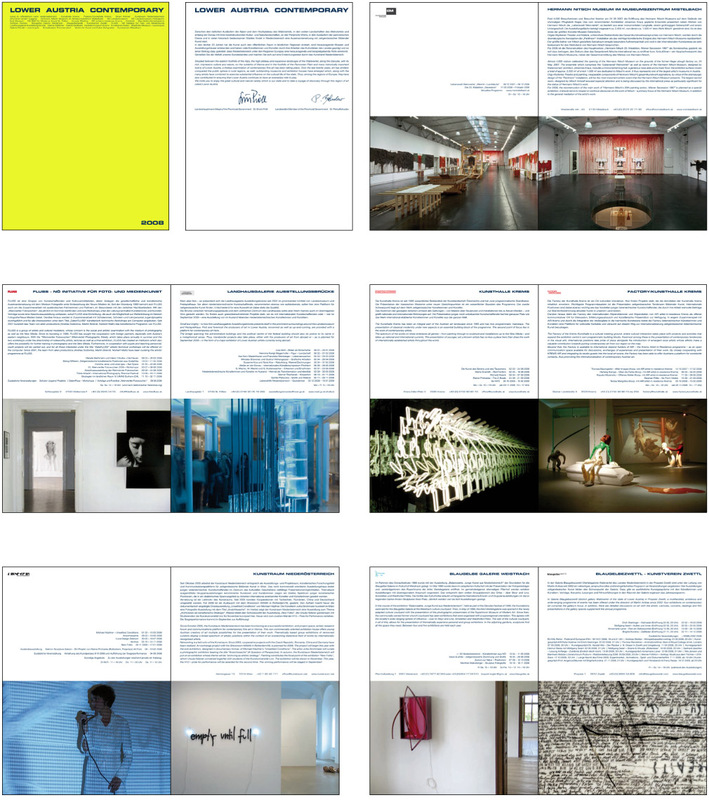 The folder for ‘Lower Austria Contemporary’ was (as in 2007) the presentation of the institutions with their program for 2008. ‘Lower Austria Contemporary’ presents itself every year since 2007 on the Viennafair. Be.we.em-architects designed 2007 the booth. Kitchenfurniture that was covered from the outside with a white flat surface. So for the graphic concept we treated the whole surface, as one surface and labeled directly on the wall - the names of the participating institutions, and in big letters at the back wall the name of the umbrella organization, Lower Austria Contemporary. This concept was pusued the years 2008 with ‘heurigenbaenke’ and 2009 with garden pagodas, what is shown in the production drawings. 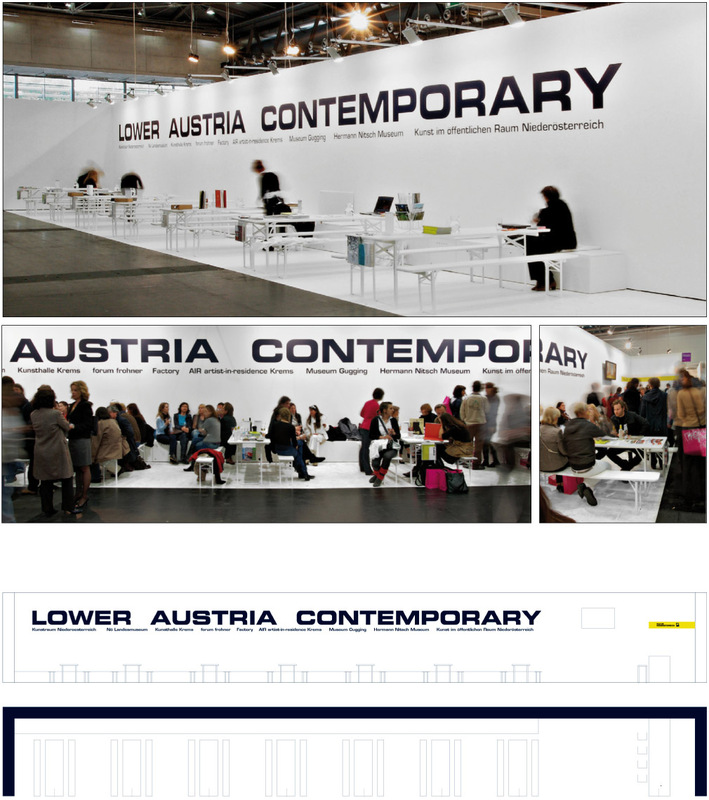 Together with be.we.em - architects we developed the graphic appearance for ‘Lower Austria contemporary’. This year nine institutions participated at the fair.